Journey into Genealogy: Link to Chicago Mayor Kennelly? Link to Chicago Mayor Kennelly? Last September, when I first moved to Chicago, I threw together a blog post of my genealogical connections to the city. The most interesting and ironic link from that list was that my great-grandfather Wallace Kanalley came to Chicago looking for work in 1920 at the age of 18, not far away from my coming at 23. He spent time as a watchman, but obviously didn't stay, as he was in Buffalo a few years later (where I grew up), and had my grandfather Kenneth in Buffalo in 1932. Since then, I've also learned that some of my Bulger relatives came from Canada to Chicago in the late 1800's (not listed in that original post). And tonight, an old video triggered an old memory. The video is literally old, though I found it in the most new media of ways. A YouTube video depicting 1948 night life in Chicago, I came across it while doing work with Twitter during my internship today at the Chicago Tribune. At 1:39-1:43, the video mentions Colonel McCormick, former Tribune publisher, who @ColonelTribune was inspired by. Interestingly, the man introduced in the video right before Colonel is "the honorable Mayor Martin H. Kennelly." Mayor of Chicago from 1947 to 1955, the name immediately brought back memories. INTERESTINGLY, the guy in the video pronounces the surname the way I pronounce mine, and even more interesting I think, I know for a fact my name used to be spelled Kennelly in Ireland. I'm very confident there's a link. I did a little digging. He was born in Chicago in 1887 and his father is said to have come from Ballylongford, Co. Kerry, according to genealogy forums. County Kerry neighbors County Limerick, where my ancestor Thomas Kennelly was born in about 1820. Again, I'm sure there's some kind of connection. It's even possible that Thomas had a brother who was Martin's grandfather, making the former Mayor and my great-grandfather Wallace just second cousins. So here's the video... watch from about 1:34-1:39. 9 comments on "Link to Chicago Mayor Kennelly?" Martin Kennelly was one of 4 children. He had a sister, Ella, and two brothers, Jerry and John. His brother John Kennelly was my grandfather. My grandfather died before I was born so Martin "adopted" our family and acted as our grandfather. I saw him many times for Easter, Thanksgiving and Christmas until his death in 1961. He was also my godfather and I was baptised in 1950 while he was Mayor of Chicago. He was a fine gentleman, quiet, gentle and generous. So Craig, with your interest in geneology, were you able to track a direct connection between your family and ours? ( I am Jerry Kennelly's older sister). I would be very interested in any thing you may have confirmed. My brother's description of our "Uncle Marty" is exactly as I remember him. Did Martin have any children. I am researching the ancestors of Herman John Kennelly Sr. I was told by Herman John Kennelly Jr daughter Linda that Martin was her great grandfather but I can not find any evidence to support her information. 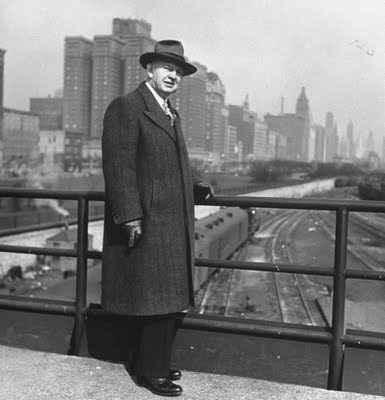 As far as I know Martin H. Kennelly, Mayor of Chicago, never married, nor had children. My dad is cousins with Marilyn and Jerry. If you have any documentation that might connect our two families that would be wonderful. I was born Kathleen Ann Coughlin in Evanston, IL. My Grandmother was Margaret Kennelly, my Grandfather Jeremiah Coughlin. I was raised hearing that Mayor Kennelly was my Great Uncle. But, I guess since he had no children, he may have been a 2nd uncle to my Grandmother. On my Grandfather's side...Bath House John Coughlin was an uncle...the family was so ashamed, they had changed our last name to Conklin for a while. LOL Maybe we might be related. My Father is Jeremiah Coughlin, my Mother is Rasma. If you have any info...please email me. popekathy1@gmail.com Thanks! I am Grace Kennelly and believe that Martin Kennelly is the son of my great grandfather's brother, Timothy (born in Ireland around 1851) who immigrated from Ireland as a child in 1851. I have the Census records from 1900 listing Timothy Kennelly as 49 years old, living in Monroe County, New York. He had 7 children with his wife Catherine - John W., Catherine M., Margaret, Timothy, Mary, Vincent and Leo (my grand father). I believe Catherine M. was my dad's Aunt Kit but my dad can't recall a lot of his childhood as he was born in Northern California. I know that Vincent Kennelly became the mayor of Fairport, NY and was an auctioneer - I met him when I was a child. I would love to know if anyone that has posted has anymore information as my father's side of the family is a slight mystery to us all. My father is 84 years old and his father, Leo John, passed away shortly after I was born in 1966. Have either of you taken a DNA test by any chance? Would you be willing? An AncestryDNA or FamilyTreeDNA Family Finder test would work well to see if our families are one in the same. My wife Juli and sons Ryan, Tim, and Patrick John met Tim Kennelly also at the Kennelly Bar in Ballylongford. Since my son shared his name my son Tim was allowed to bartend for a while. We also met Mike Kennelly's family the owner of the hardware in town. My family is originally from Movane Ireland. My name is Jack Kennelly. Nice to hear these stories. My grandfather John, was born in Lisselton, about 4 miles from Ballylongford, in about 1885. He had told me that he was a first cousin to the former mayor. My grandfather settled in Bridgeport, "back of the yards" in the same neighborhood as Martin. My grandfather had 2 brothers who also emigrated to Chicago, although one of them, I believe that his name was Tom, went back to Ireland some time later and died in the 60s. It has been about 35 years since I have been back to that area in county Kerry. Great people. I would like my kids to meet some of their relatives. At that time some of my relatives had farms and also raised greyhounds for racing. My grandmother's name was Donovan. She also grew up within a few miles of Ballylongford.